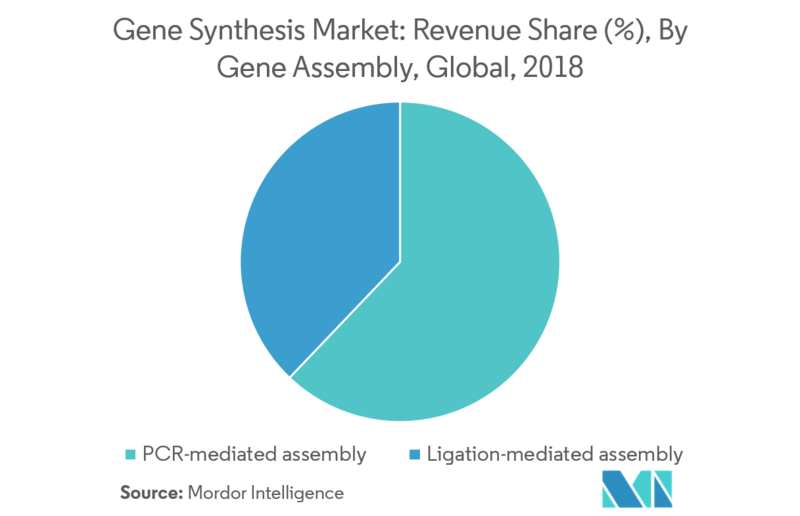 The gene synthesis market is expected to register a CAGR of 17.0%, over the forecast period. Factors that are responsible for the growth of this market include increasing R&D in the field of genomics and next-generation sequencing, increased government funding toward genomics, and increasing demand for personalized medicine. As personalized medicine aims to provide tailor-made therapies to individual patients, depending on the molecular basis of disease, it has become popular over the recent years. Healthcare technology, genomics, connected devices, big data analytics, and artificial intelligence are generating vast amounts of health data and insights. This is enabling healthcare providers to offer better and faster diagnoses, and make more informed treatment decisions. Factors, such as the aging global population and rising prevalence of chronic diseases, are putting unrelenting pressure on the capacity and financial viability of the healthcare systems across the world. Personalized medicine holds the promise of providing better patient care and a high safety margin, while lowering the total healthcare costs. In addition, gene synthesis is also finding its applications in the molecular diagnosis of infectious and genetic diseases. Genetic tests, which can detect genetic variations and predict how a person is likely to respond to certain drugs, are becoming commercially available. 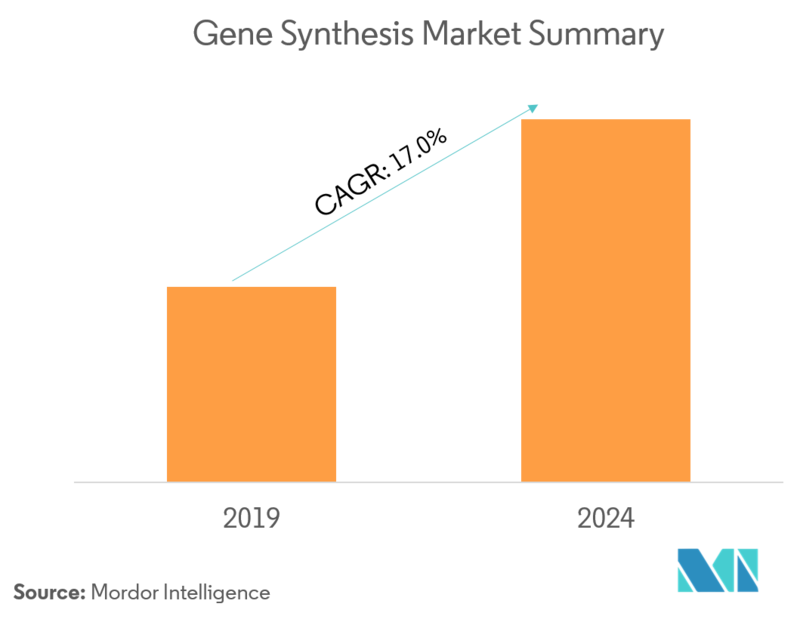 Therefore, increasing focus on personalized medicine and other factors, such as patient-centered approach, are driving the growth of the gene synthesis market. Gene synthesis refers to the in vitro, base-by-base synthesis of double-stranded DNA molecules. Unlike DNA replication, which occurs in in vivo or by polymerase chain reaction (PCR), gene synthesis does not require a template strand for its initiation. In the gene synthesis process, the chemical synthesis is typically used to create oligonucleotides of up to 120-150 nucleotide (nt) in length. Therefore, generally, gene assembly techniques are utilized to connect small oligonucleotides with each other, to synthesize the gene of the required length. Over the past three decades, a number of methods have been developed to assemble relatively short synthetic oligonucleotides into longer gene sequences. And the PCR-mediated assembly represents one of the most prominent approaches to mediate assembly of the desired DNA sequence. Pertaining to the broad applications of PCR, such as in molecular diagnostics, forensics, and epidemiology studies, the demand and acceptance of PCR technologies are high, which, in turn, acts as a favorable factor for the development and adoption of PCR-mediated assembly methodologies, by academia and research institutes alike. 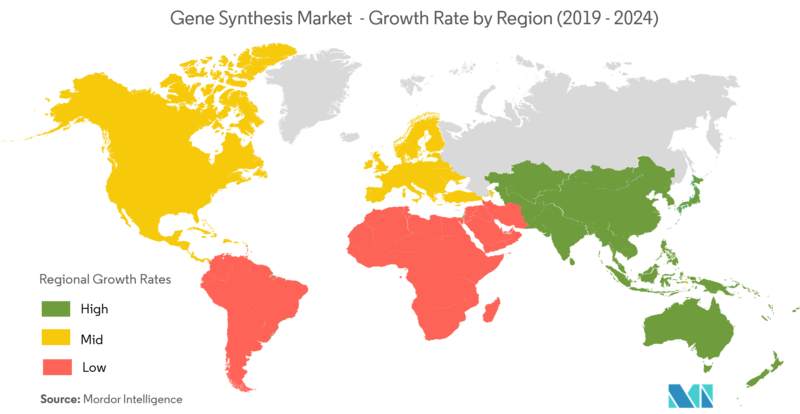 Currently, North America dominates the market for gene synthesis, and is expected to continue its stronghold for a few more years. In the North American region, the United States holds the largest market share. The increasing prevalence of genetic and chronic disorders, such as cancer, aging population, increasing demand for targeted and personalized medicine, and favorable government initiatives are the primary factors responsible for the large market size. 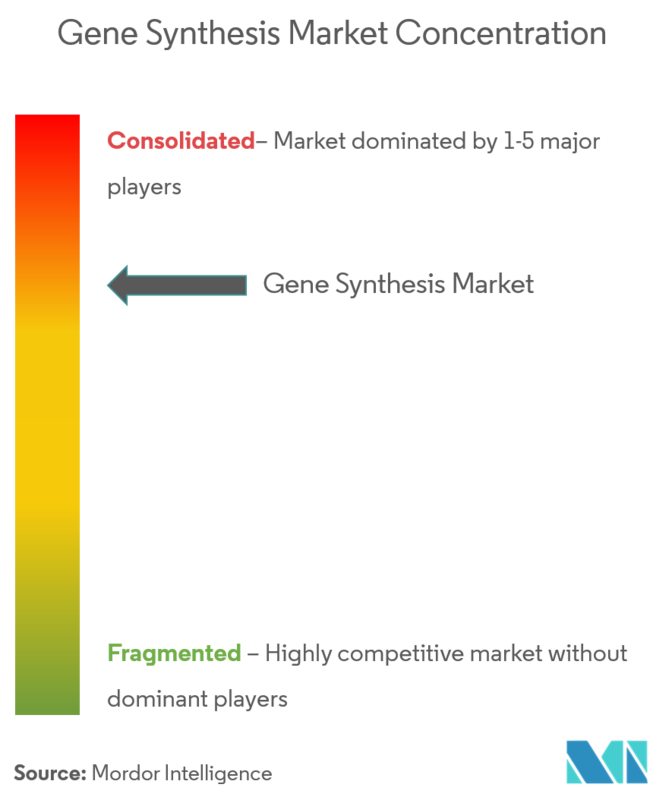 The gene synthesis market is moderately competitive and consists of several major players. In terms of the market share, few of the major players currently dominate the market. Owing to the increasing number of diseases and rising drug discovery processes, few other smaller players are expected to enter the market. Some of the major players of the market are Merck KGaA, Genscript Biotech Corp., Genewiz Inc., Eurofins Genomics, and Bio Basic Inc., among others.